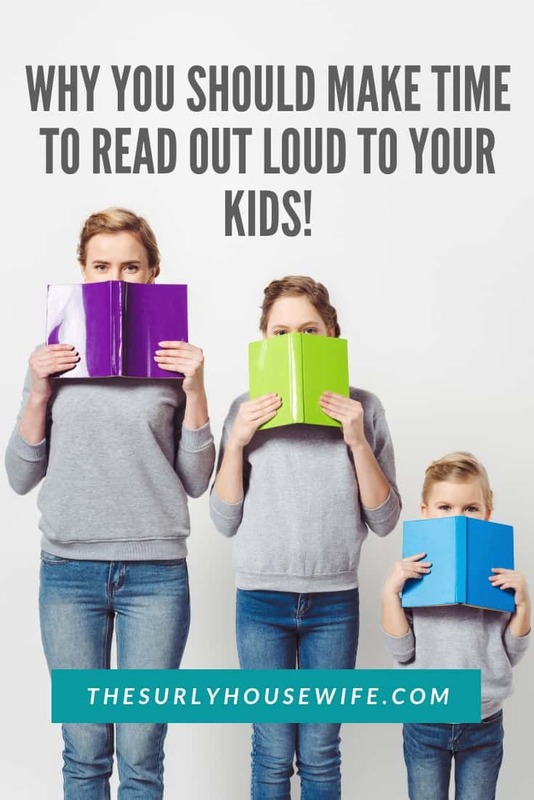 4 Reasons why you should make time to read out loud to your kids! I don’t remember the first book I ever read, but I do remember Saturday afternoons spent with a stack of The Babysitter’s Club books, Nancy Drew mysteries, and whatever book I brought home from the library that week. I wasn’t content to just read one book at a time. I needed to READ ALL THE BOOKS!! A chapter from Kristy’s Big Idea, then a chapter from The Haunting of Horse Island, and then maybe a chapter of The Long Winter. Yes, I was able to keep all the storylines straight, and yes I grew up to be an English major. Even though I never became an English teacher (I still correct grammar like one) I always knew I wanted to pass on that love of reading to my children. I thought it was as simple as giving my children books, taking them to the library, and teaching them to read. But I was missing a key element: the read aloud. A deep love of books and stories comes for sitting down and reading stories to our kids. Before my children learned to read, I read to them everyday. I sadly didn’t as much once they learned to read on their own. That’s when the book The Read Aloud Family by Sarah Mackenzie changed my life. 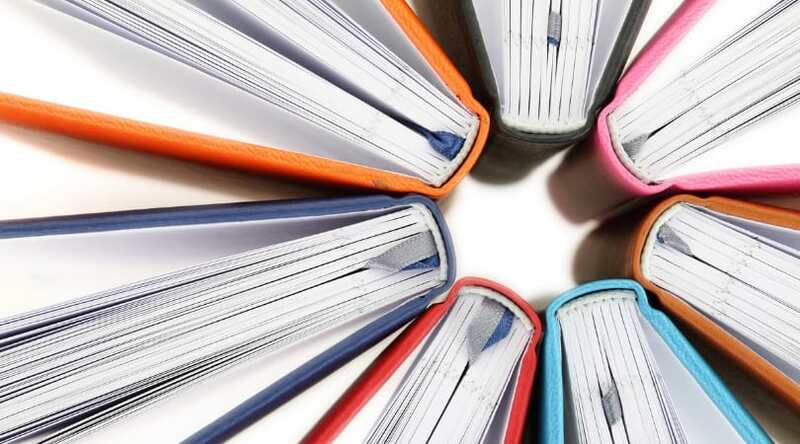 This book taught me about how to create a book culture at home, but also why it is so important to read aloud to your kids even after they can read for themselves. Not only is this concept important from a homeschooling perspective, but it also has positive effects for your family. How does reading aloud bring together your family in a deep and meaningful way? I was doing this already and didn’t even realize it! And believe it or not, I noticed it because of the horrendous and evil Dolores Umbridge from the Harry Potter series. She is a hateful and torturous witch who was dubbed “Dumbridge” by my oldest. In our family, “Dumbridge” is the ultimate insult. In fact, my kids love Ramona so much they want to go to Portland on vacation so we can see the Beverly Cleary Sculpture Garden and the Ramona statue. And most of all, reading aloud with our kids makes us put away the distractions and focus on the moment. We can’t protect our kids from anything once they leave our homes. If you let it, this thought can be really scary because we want the best things for our children and we want them to be able to face the future bravery. But how? Heroic virtue is instilled over time as they read more books and encounter more heroes. I don’t think it’s debatable that reading is good for kids. But what mental skills does reading your kids sharpen? Simply put, reading aloud gives our children the gift of learning to think. 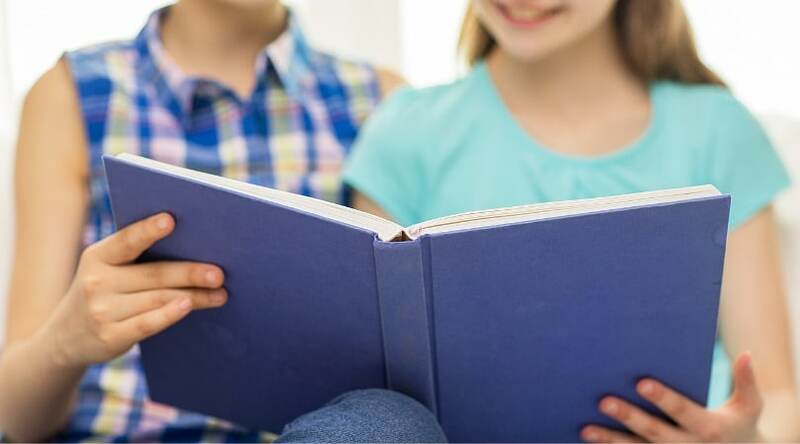 Children who are vivacious readers learn to think deeply and make connections and apply those skills to subjects outside of language arts. First by the art of language itself. Homeschool moms talk to their kids. A lot. But, it’s in a conversational style, usually, without any rich vocabulary. Literature give us sophisticated language and correct grammar. And lastly, reading aloud helps our children learn to love reading. Thinking of homeschooling? Read this first? The power of story allows us to experience the world from a different point of view. Stories are empathy builders. I know my personal sense of empathy began that day reading Taylor’s book. Stories allow us, just like going along the journey of a hero, to show our children the hardships and difficulties of other families, children, and people throughout history and throughout the world. Once the seed of empathy is planted, the building of compassion can begin. Those feelings of sorrow and despair must invoke action to be truly meaningful. Reading out loud to our kids is perhaps the most valuable tool we have for spending time with our children. It builds connections on a deep and meaningful level, it inspires heroic value, it makes them smarter, and builds empathy and compassion. WANT TO SAVE THIS POST FOR LATER? CLICK HERE TO SAVE TO YOUR FAVORITE PINTEREST BOARD! !